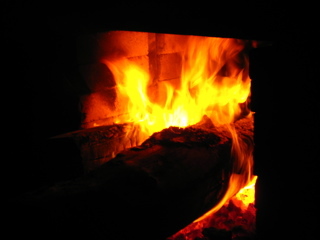 The next firing is programmed in mid-july! This kiln will contain a lot of tableware and small pieces, like teapots, bowls, mugs and bottles, small and big plates for use and decoration and lanterns in all sizes. 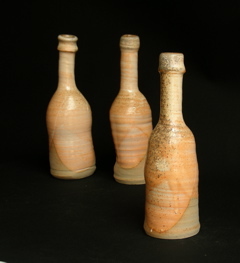 I also fire a few larger sculptural urns in this summer firing. 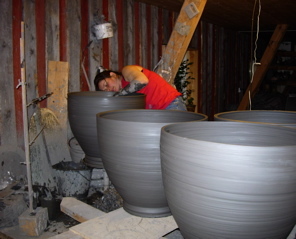 Ceramists from Kongsberg, in south-eastern Norway, might join us for this firing. I really look forwards to lighting the kiln as it has been 7 months since last time. With two babies the frequency of firings slowed down quite a bit! Torjan, the youngest is already 6 months and his big sister Vanja 2 years now. The following firing will probably take place at the end of september.